Fresh from its success at the Edinburgh Festival and following a UK and international Autumn tour, West End hit show DINOSAUR ZOO is back by popular demand this spring for its fourth major UK tour, stopping at Fairfield Halls, Croydon on Friday 20 and Saturday 21 March 2015. Australian-based creators Erth use ingenious puppetry to bring dinosaurs to life in this interactive and imaginative live show. 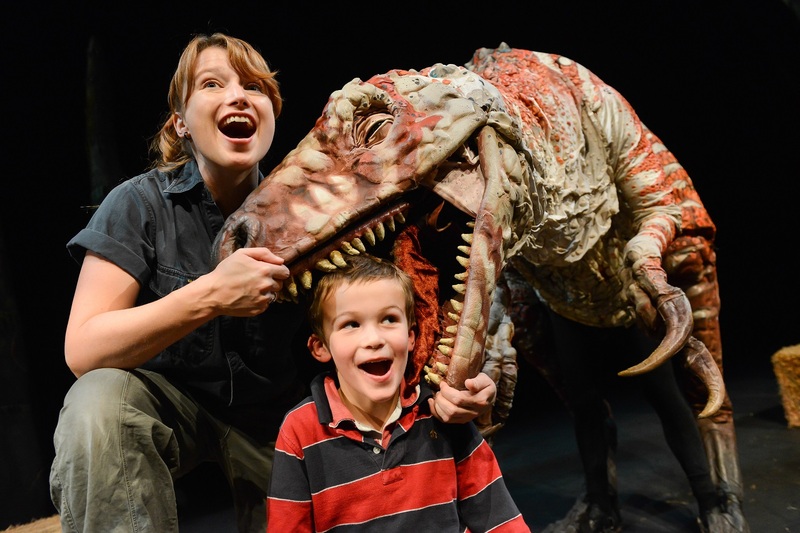 Suitable for all the family (ages 3+), DINOSAUR ZOO introduces audiences to a range of creatures from cute baby dinos to teeth-gnashing giants, including a carnivorous theropod known as the ‘Australovenator’ – Australia’s version of the American T-Rex. 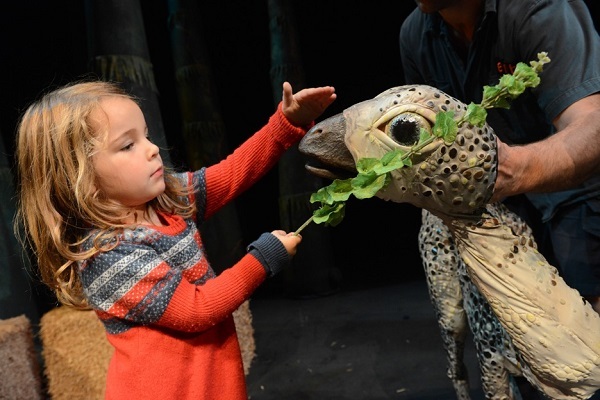 Intrepid audience members who are brave enough to get up close and personal with the dinosaurs are invited up on stage to assist the Zoo Keepers in their daily tasks - but be warned - not all of these ravenous reptiles are as tame as they seem! Each performance concludes with a post-show ‘meat & greet’ session offering every audience member a chance to meet the dinosaurs in person. 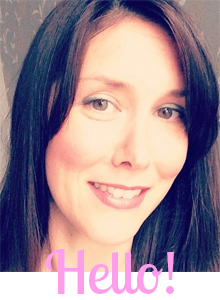 We will be going along to the show when it's on, so pop back here for our review. Noah is a huge dinosaur fan at the moment, every library visit yeilds another 5 or 6 dinosaur books to read. He loves finding out their names, knowing most of them off by heart and he knows if I get them wrong! If you've also got a dino-mad child then go to Fairfield Halls for tickets.